Item No. 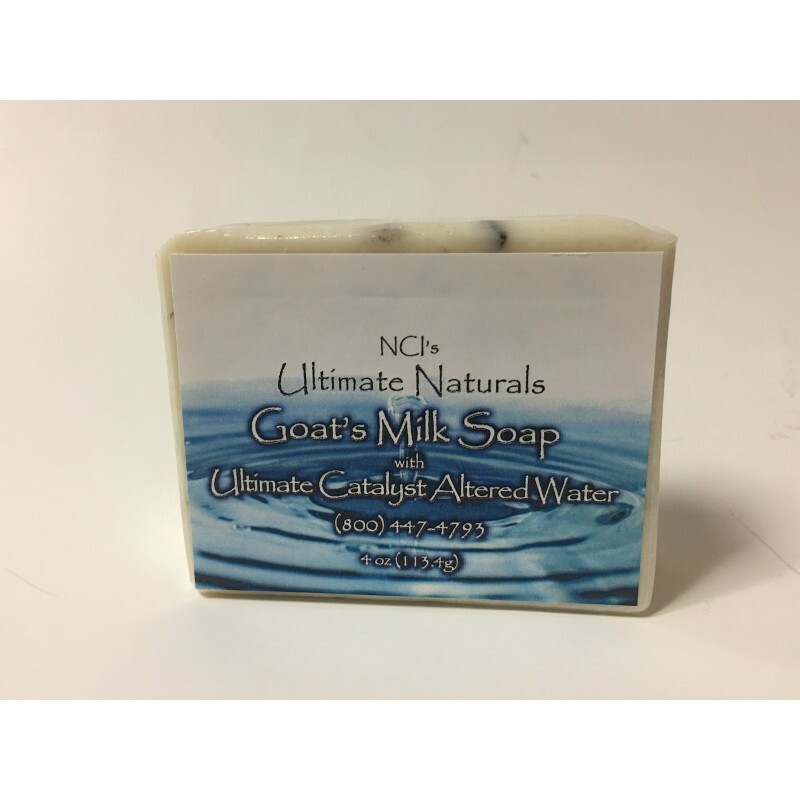 E-104* -- Ultimate Naturals Goat's Milk Soap* (formerly Ultimate Willard's Water Soap with Goat's Milk). Just like our other Ultimate Naturals Soaps, this is loved by people with sensitive skin, as well as people with normal skin. These soaps also work better than usual soaps for people living in dryer climates especially during the cold winter months. Item No. 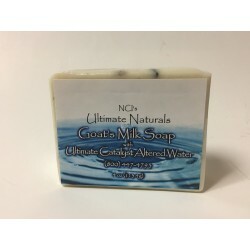 E-104* -- Ultimate Naturals Goat's Milk Soap* with Ultimate Catalyst Altered Water (formerly Ultimate Willard's Water Soap with Goat's Milk). Regarding the name change -- the soap is exactly the same as before but with a new name and label. For more information on the name change, go to PAGE 5 of our June/July 2018 Newsletter. Just likel our other Ultimate Natural Soaps, this bar is loved by people with sensitive skin, as well as people with normal skin. The soaps also work better than usual soaps for people living in dryer climates especially during the cold winter months. The key difference between the Ultimate Naturals Goat's Milk Soap and our other Ultimate Naturals Soaps, is the addition of the Goat's Milk, as well as Dead Sea Mud to the soap. -- Their skin appears smoother and more youthful. -- It seems to smooth their dry and damaged skin. -- People often say their skin feels different after using any of our soaps… skin feels smoother, softer, more supple. Others comment on the fact that their skin feels “just washed" for much longer than it does after being washed with other soap... the Ultimate Naturals Soaps seem to grant greater “staying power” to that clean feeling. -- Others say their skin starts looking better, softer, and younger. 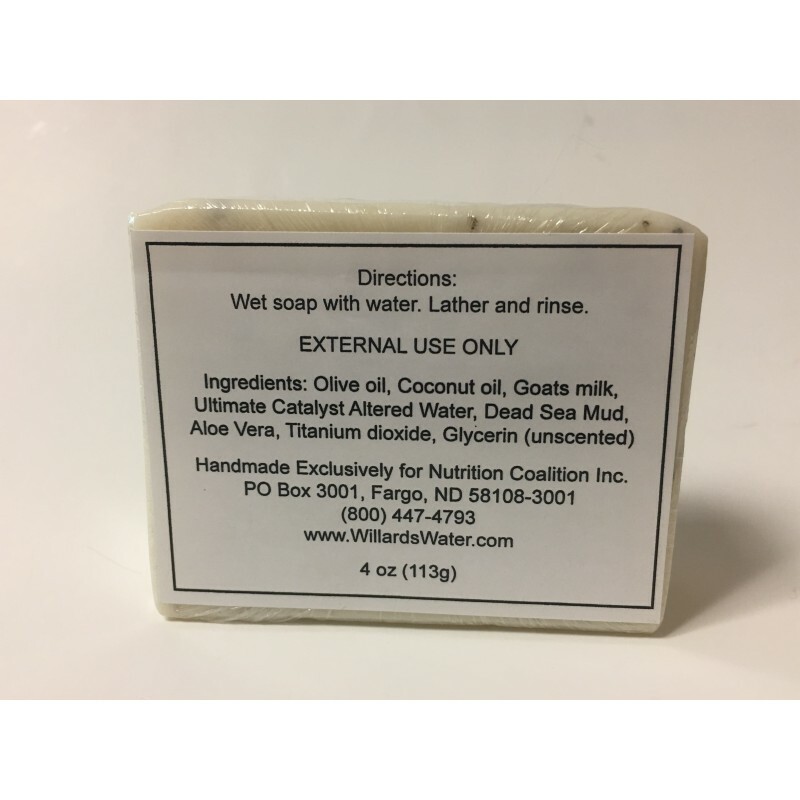 -- Many people note that these soaps feel much more soothing, relaxing, and luxurious than other soaps have ever felt to them. Ingredients:Ultimate Catalyst Altered Water, Olive Oil, Coconut Oil, Goat’s Milk, Dead Sea Mud, Glycerin, titanium dioxide*, & Honeysuckle Fragrance Oil. (*very safe form of titanium dioxide, not milled) .